Rollingstone.com Anderson .Paak’s latest album, ”Oxnard,” experiments with different music genres but still maintains the artist’s original sound. 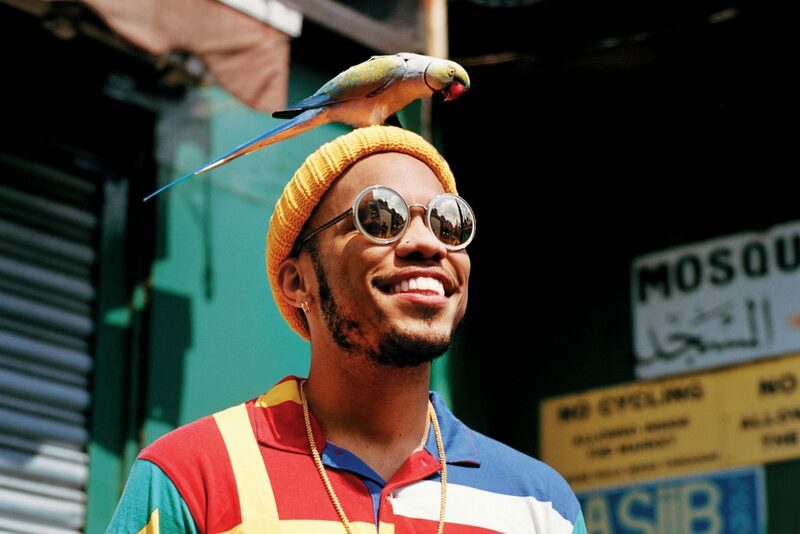 Anderson .Paak’s 2016 album “Malibu” introduced the world to his unique blend of hip-hop and R&B using distinct instruments, soulful melodies and rhythmic verses that sometimes fluctuate between singing and spoken word. With his latest release, “Oxnard,” which debuted Nov. 16, .Paak continues to not only deliver but build upon his interesting sound by incorporating more aspects of funk and rap into his music. Anderson .Paak opens his album with a soundbite of someone, most likely the artist himself, opening a car door and changing radio stations until landing on an announcer speaking Spanish, but clearly mentioning Anderson .Paak’s name and the title of the album. This bite is followed by the first track’s featured artist, Kadhja Bonet, softly and slowly singing the words, “I need you more than you could know.” Bonet’s voice is only accompanied by a mellow instrumental consisting of electric guitar, bass and some percussion. .Anderson .Paak then subverts expectations by suddenly transitioning into an upbeat symphony complete with drums, guitars, violins and woodwind instruments before beginning a short, impressive rap verse that was noticeably absent from his first album. Finally, in true Anderson .Paak fashion, the artist stops rapping and sings a quick, catchy chorus to conclude the first track, “The Chase,” which would prove to be just a taste of the fresh music present in the remainder of this album. The second track, “Headlow,” is an enjoyable but forgettable song about receiving road head, but it transitions into the leading single from the album, “Tints,” which features Kendrick Lamar. The third track kicks the album into high gear by presenting a funky beat that instinctively makes the listener’s head nod in time with the music. This, combined with Anderson .Paak’s signature rhythmic rap-singing style, tasteful harmonies, a chorus that you can’t help but sing along to and a strong featured verse from Lamar, makes “Tints” the jewel of this album and sets the scene for the following 11 tracks. The next three songs, “Who R U?,” “6 Summers” and “Saviers Road” make up a trio of traditional rap songs reminiscent of hip-hop music from the early ’90s, particularly Dr. Dre, who is actually featured later in the album. These tracks put more emphasis on percussive rather than melodic instruments and strictly showcase Anderson .Paak’s rapping ability. These three songs are almost entirely devoid of his singing voice, but he makes up for this by including top-notch verses with clever rhymes and toe-tapping rhythms. The second half of the album is a breath of fresh air and provides listeners with upbeat tempos, fantastic instrumentals and a combination of Anderson .Paak’s sweet singing voice and surprisingly exceptional rap skills. While he receives some help from hip-hop moguls like Dr. Dre (“Mansa Musa”), Pusha T (“Brother’s Keeper”), Snoop Dogg (“Anywhere”), J. Cole (“Trippy”) and Q-Tip (“Cheers”), he refrains from being overshadowed and proves in this half of the album that he can compete with highly praised rap artists. Hard-hitting and strong tracks like “Mansa Musa,” “Cheers” and “Sweet Chick” that beg to be played at full volume in a car with all windows down are mixed in with slower melodic tracks like “Brother’s Keeper” and “Trippy,” which can be listened to in any setting. The album ends with “Left To Right,” a fun track that parodies line dance songs like “Cupid Shuffle” and “Cotton Eye Joe.” After a flurry of excellent songs that can be listened to over and over again, it seems fitting, but somewhat underwhelming, to conclude the album with a more trivial song that pokes fun at other genres. Anderson .Paak’s experimentation with different genres of music is inherently visible in “Oxnard.” The album includes a variety of musical styles and can be enjoyed by fans with different tastes in music. At the same time, the artist maintains his unique sound, increases his musical range and finds his footing in the world of hip-hop.